Smart Watches are the talk of the town these days, with different OEM’s coming up with their respective watches. 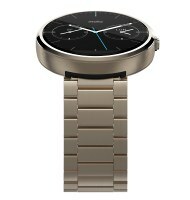 It is safe to say that Motorola’s Moto 360 is one of the sexiest looking smart watches out there. The watch though launched in just two colors silver and black, with silver/grey and black straps. 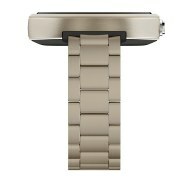 Metal watchbands were promised to launch later in the fall for $80 extra, which made the smart watch look even more sleeker. 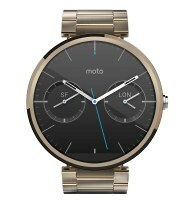 Motorola though gave us all a surprise when a Champagne Gold Moto 360 popped up on Amazon. The watch was quickly taken off the website, but luckily we got some nice pictures. 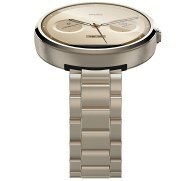 The new color gives the watch a sophisticated look, most probably aimed for the ladies. 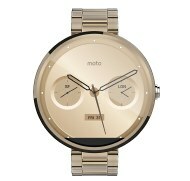 The Gold Moto 360 was seen to have two strap sizes (18mm and 23mm). The new colored watch is supposed to be for $299 with a 2 month shipping duration. So if you were thinking of buying the Moto 360, maybe you could wait a bit longer and grab this new color and metal bands.